Whisky Oss - Glenturret, a hidden gem. A story by Erik Huurman. Glenturret, a hidden gem. A story by Erik Huurman. Because of some personal issues I'm not able to write my normal amount of articles for WhiskyOss. Peter is very busy at his job so I can't ask him to write more then he does now. It isn't, and should never be, about the quantity of articles. It's the quality that's important for us and our readers. Having said that, we do have a section on our website especially created for stories by our readers. 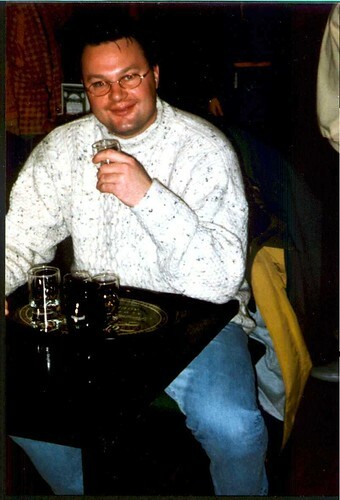 Erik Huurman offered to write about a Glenturret experience he had more then two decades ago! Of course we accepted his offer and we know you will enjoy reading it as much as we did! Where to begin? Well it all happened more than 20 years ago. My first visit at the Glenturret distillery was a memorable one, however Glenturret wasn’t my first distillery that credit goes to Oban distillery. 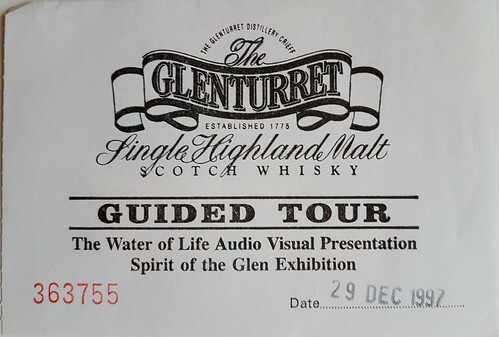 In many ways it was love at first sight at the Glenturret, the tour, de audio visuals – for those days that was quite something, the distillery – production was all done the old fashioned way and they still do, Scotlands oldest “working” distillery, the lovely shop, the bar, the restaurant but above all the people who work at the Glenturret. It’s like a day’s out, the locals just popped in for a drink or a meal and visitors are having a great time at Glenturret. The Smugglers bar was the place to enjoy a comprehensive tasting, The selection usually existed of 4 whiskies, the 12 year old, the 15 year old, the 18 year old and the Classic Vintage 1966. However depending on the season the 15 year old was replaced by a 15 year old 87.5 Proof and the Classic Vintage was replaced by the Glenturret liquor. The bar itself was dark and mysterious almost like an old pub dated back in the 1700’s. Next to that there was a restaurant where you could have a good lunch. Glenturret was in all aspects a truly hidden gem. Over the years I came back at least once or twice a year (sometimes even more) to visit the distillery and over the years I met a lot of staff at Glenturret who became our friends. Because of that I always had the first scoop or knew what was coming. It so happened that I got word of Neil’s Dram back in 1998, a small bottle of Glenturret named after my good friend Neil Cameron. It is mentioned in Michael Jackson’s Malt whisky Companion 4th edition. Without doubt I bought a few bottles and that stuff was really good. As the years passed by I got my hands on the staff sales and nice bottles of whisky slowly dripped in to my collection and today worth a fortune. Back in 1999 I met a Dutch chef by the name of Ype van der Schaaf who lives in Perth and we got along very well and still do as of today. He gave the restaurant, together with his colleague Steven Craig, a new boost and changed the menu in the restaurant. 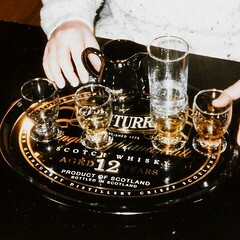 As time passed at the distillery there was a big change coming up in 2002, the birth of The Famous Grouse Experience. Also in 2002 a wash still was replaced, my friend Neil went straight away to the copper smith and rescued the small window from that still. That part of the Wash still, is still here at the Glenturret room. It really changed a lot in 2002, not only in people (redundancies) but also in the way of doing things commercially. 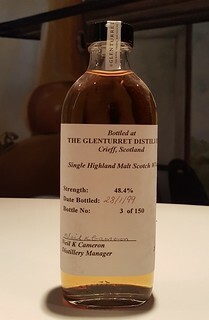 The releases of several Glenturret vintages, such as the legendary 1972 and later on a 1977, a 1980 and a 1987. Things really started to change for the better at Glenturret. But a lot of people missed the old Glenturret, I have to say that I was one of them. Over the years Glenturret/Famouse Grouse Experience took shape, like the converted warehouse in to a place for an intimate tasting. Nowadays people can fill their own bottle, make their own blend and do several comprehensive tours. Back in 1999 an idea popped in to my head, an idea that I based on an interior setting at Oban distillery. In 2000 I moved to a new house and there the idea was born, to covert my attic in to a distillery room. My heart goes out for The Macallan, that’s no secret but the Glenturret distillery has always been a red line in my life. Call it a love affair or whatever. In that particular year I was allowed to take pictures anywhere I wanted inside the distillery. They gave me unlimited access to all the corners of the distillery. 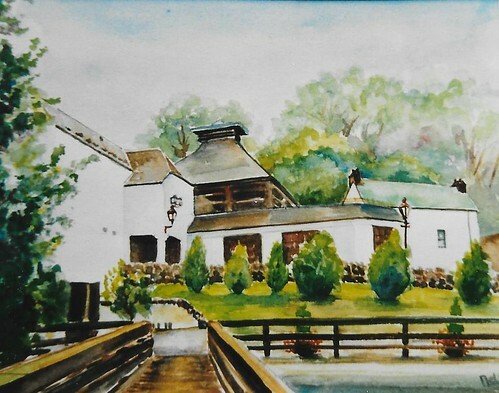 My Glenturret distillery room was finally finished in 2004/5 with a painting by my mother. She’s, in a way, a known artist as her work can be found in all the corners of the world. When the first pictures reached the Glenturret, people where amazed by the result of it. During its life as a distillery room some well known characters from the whisky industry have had a dram here as well as some the lucky few who were invited at my place for a tasting. Earlyer in the Summer of 2018 the Glenturret distillery in Crieff came up for sale whilst the Glenturret distillery room at my place came up for sale in Spring 2018. Now my place is sold, the distillery room is mothballed and soon to be closed forever. In a way there seems to be a certain irony in this one, The original Glenturret distillery for sale and mine, call it spooky or call it coïncidence….. Comment: a limited edition of 150 bottles, this one speaks for itself! Wow Erik! That's a lovely story about a lovely distillery! Let's hope that the new owners will respect and preserve the history of the distillery. Thanks for sharing!